PHOTO REPORT: The Fair Food movement takes Austin stage by storm during Together Live Tour! 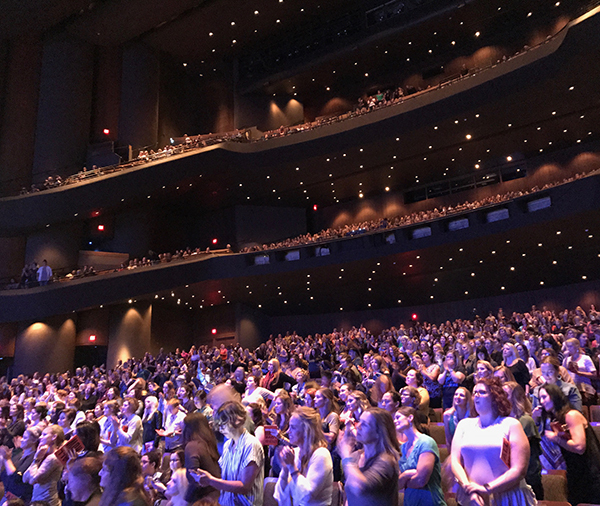 An audience of over 3,000 Texans rise to their feet to applaud CIW’s Lupe Gonzalo as she walks on to the stage during the 2017 Together Live tour stop in Austin. 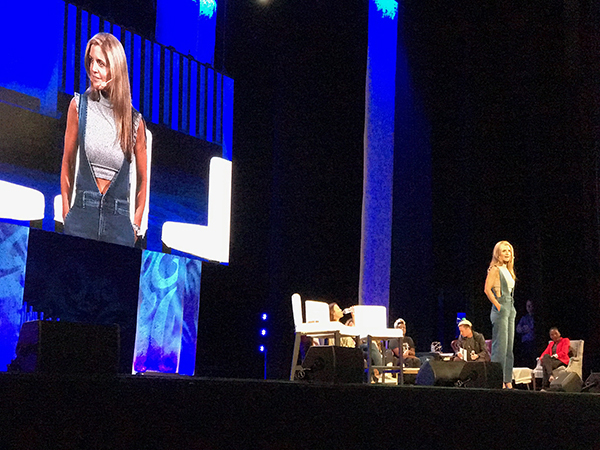 Today, we bring you a quick photo update from the Together Live Tour, the whirlwind event headlined by Glennon Doyle, Abby Wambach, Luvvie Ajayi, and other inspiring speakers — including the CIW’s own Lupe Gonzalo — that is inspiring and mobilizing thousands of women from coast to coast. Last week, as farmworkers in Vermont were signing a groundbreaking agreement with Ben & Jerry’s to bring human rights to Vermont’s dairy industry, the Together team arrived in Austin, Texas. The star-filled line up packed all three levels of the Bass Concert Hall on the University of Texas’s sprawling campus in the heart of town. 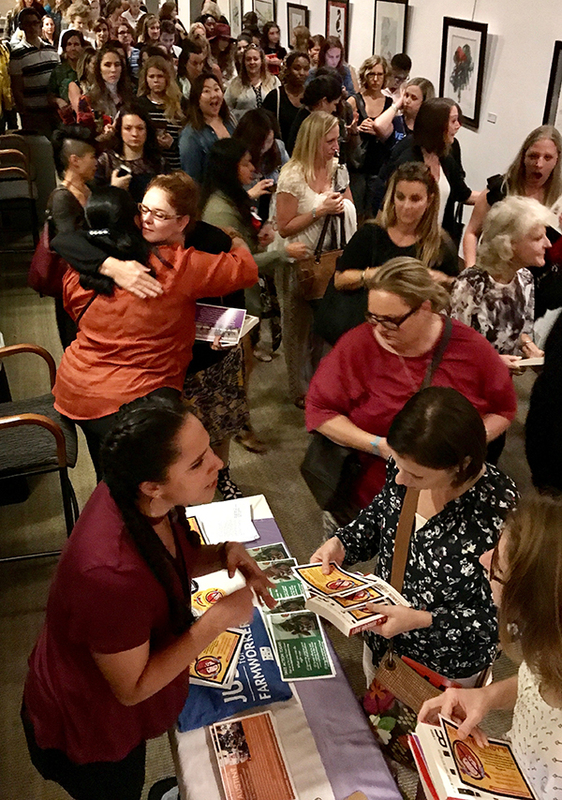 Once again, Glennon, Abby, and Luvvie, as well as new magnificent guest speakers like Alexis Jones, opened up the event, alternately spurring roars of laughter and bringing the audience to tears with their stories. Following the powerful words of her fellow farmworkers, Lupe took the stage and was once again — as in San Jose and Phoenix — received with the first of two standing ovations as she arrived to deliver her message to the energized audience: Sexual violence has plagued farmworker women for too long — and it is time for us to bring an end to it, once and for all. 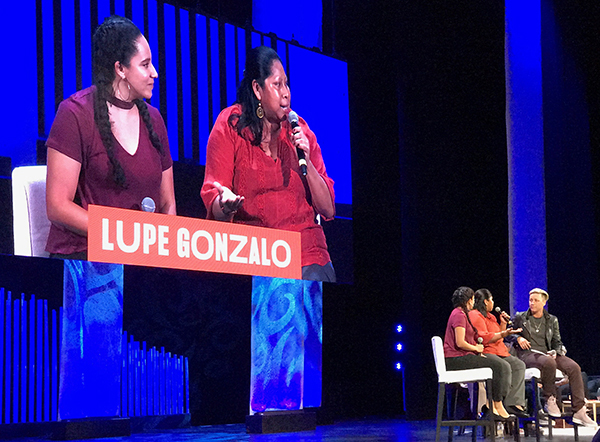 Now three tour stops in, one thing is clear: Lupe’s invitation to the audience at the end of her time on stage — the invitation to become a part of the movement to uproot sexual violence from the fields of U.S. agriculture, not only along the East Coast, but across the entire country — will not go unanswered. After the curtains dropped and the event came to a close, hundreds of participants sought out the CIW’s brightly-colored table, leaning in for a quick hug, thanking Lupe for opening their eyes to an endemic and under-reported human rights crisis right in our back yard, and asking eagerly where they could sign up to take action. And take action they did. 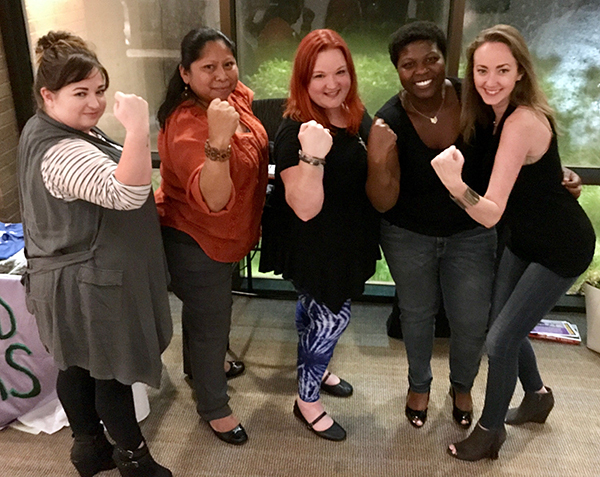 After being shocked to learn of Wendy’s refusal to join the Fair Food Program and do its part to help eradicate sexual violence for women in its supply chain, new Fair Food Sisters grabbed postcards and flyers by the handful from the CIW’s table, and flooded the CIW’s email inboxes with one question: What is the next step? Because this, clearly, is just the beginning. Stay tuned for more news from the Together Live trail in the weeks ahead as the tour crew heads to Washington DC, Chicago, Nashville, Minneapolis, and Philadelphia!